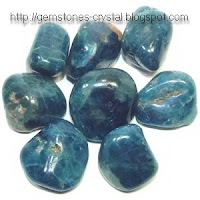 Apatite is a stone used by many psychics because it helps to open the "third eye" and facilitate revelations. Apatite is also thought to make its holder examine his or her own beliefs and reevaluate them. This keeps the holder constantly moving towards truth. It is a stone that reduces appetite and is commonly used by those trying to diet. It is also beneficial for those suffering from lethargy, as it increases motivation and energy. It is also useful for mental and emotional healing as it encourages the holder to be open and socially relaxed with others. The burden of negativity and stress relieved by this one simple change also heals a host of physical problems caused by that stress. 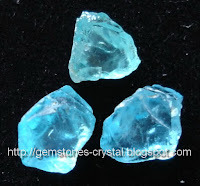 Apatite is also thought to make its holder examine his or her own beliefs and reevaluate them. This keeps the holder constantly moving towards truth.